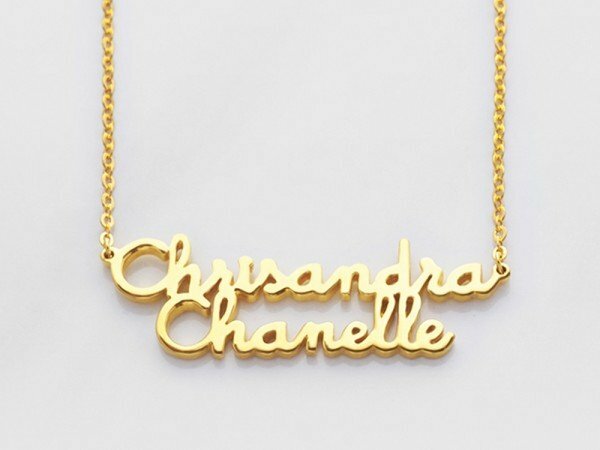 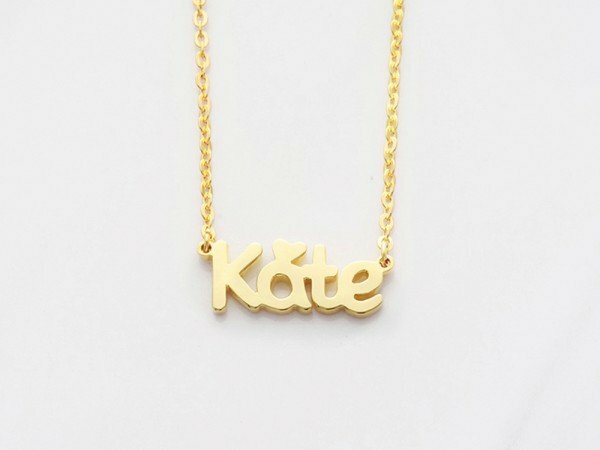 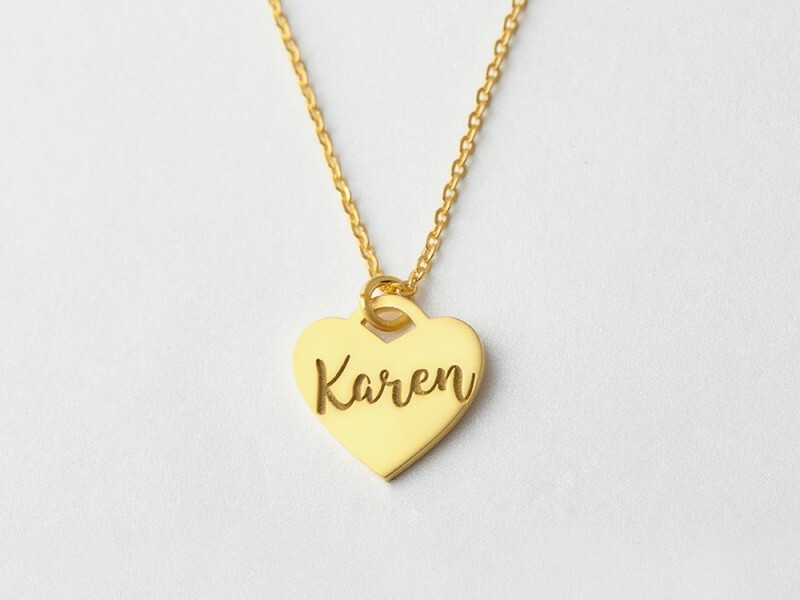 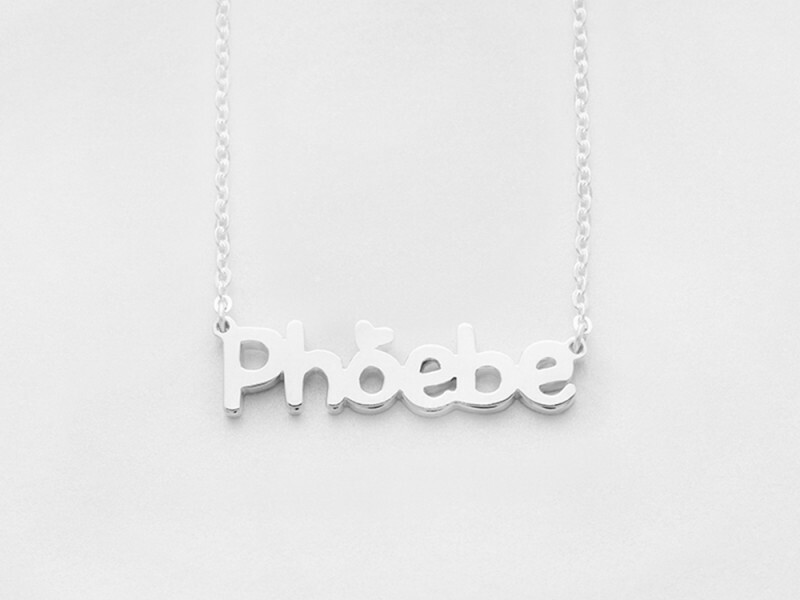 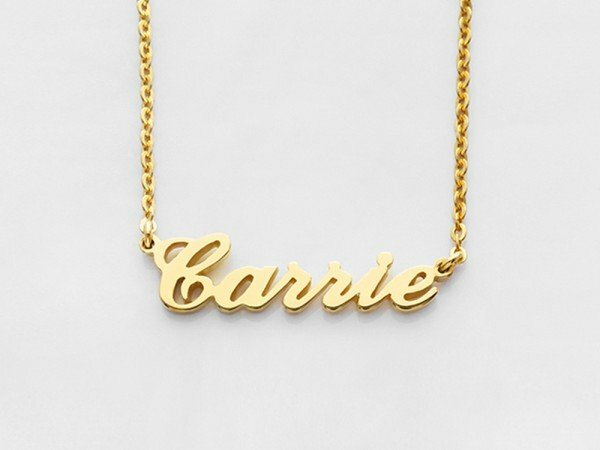 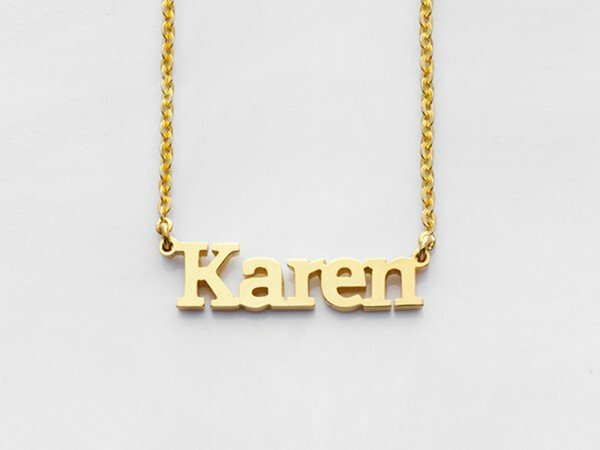 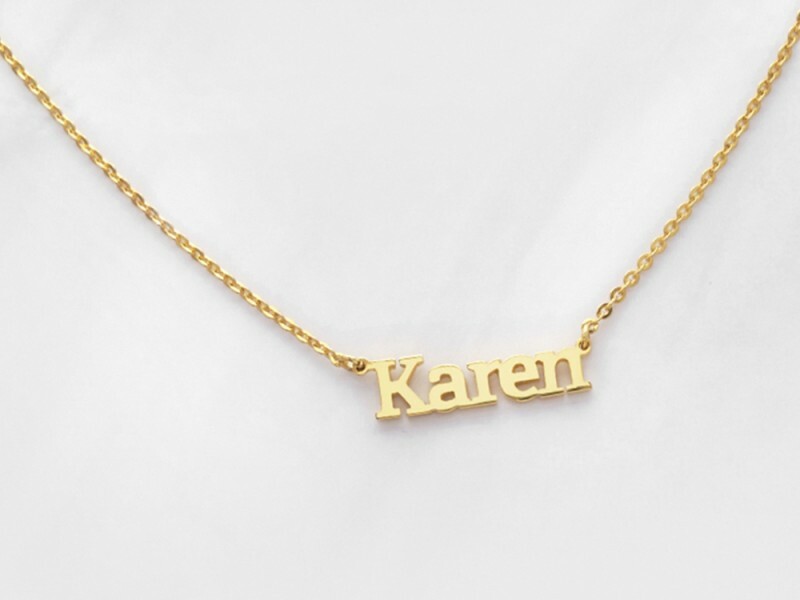 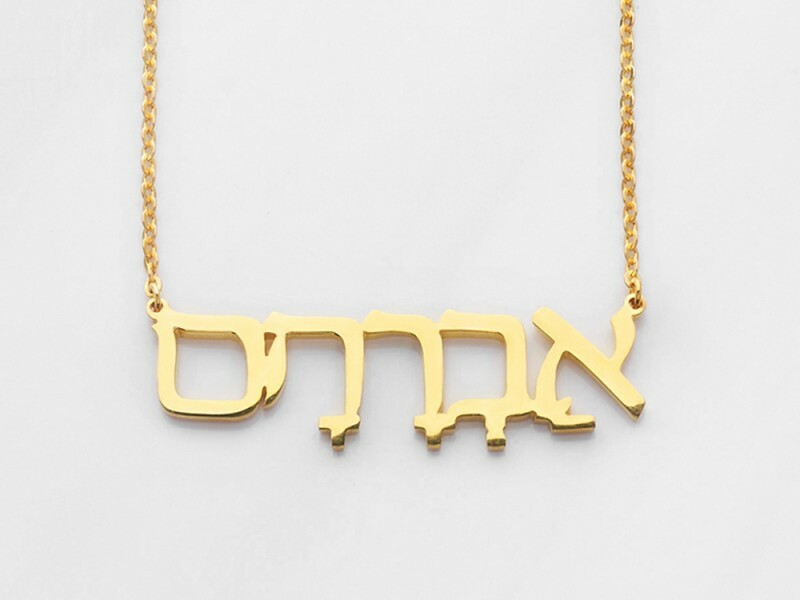 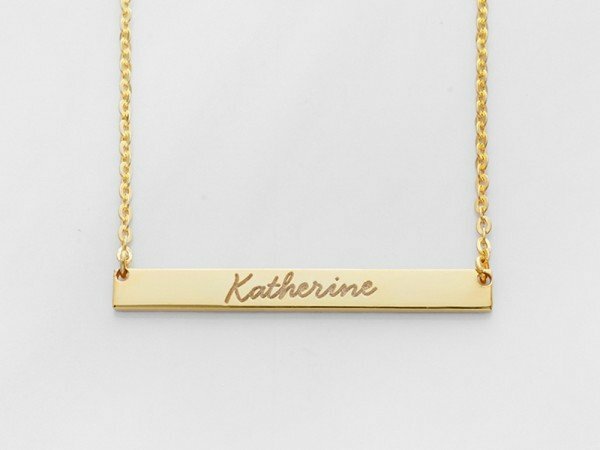 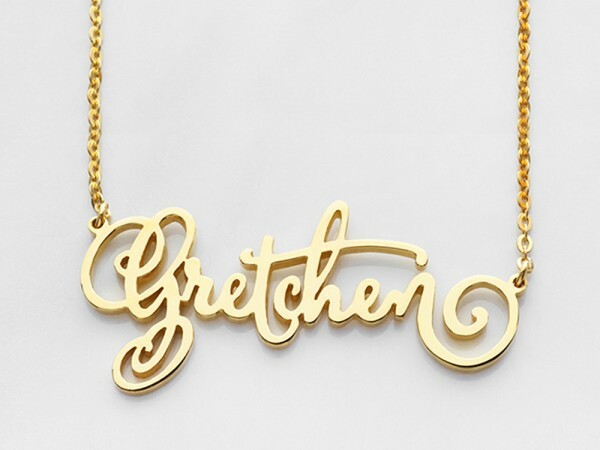 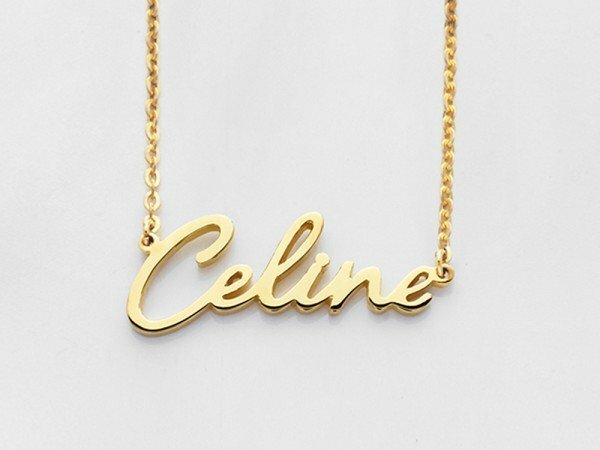 Carrie name necklace, modernized. 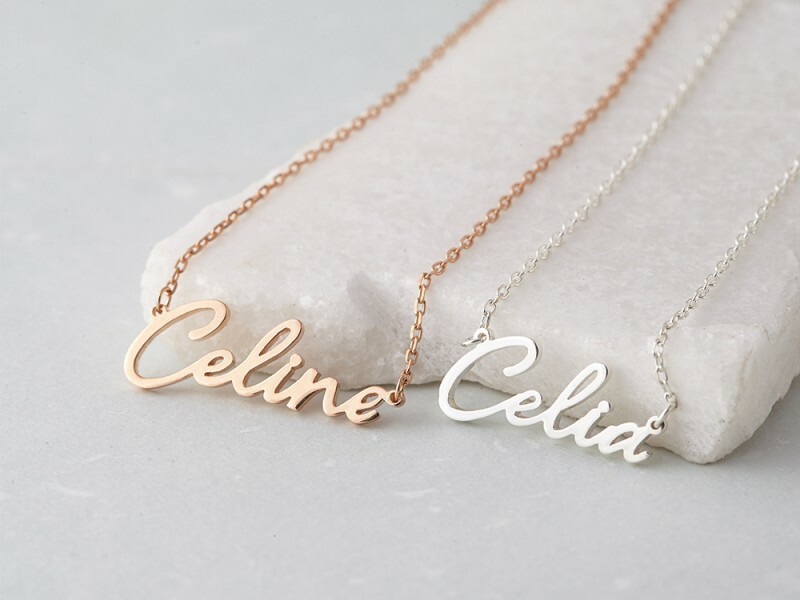 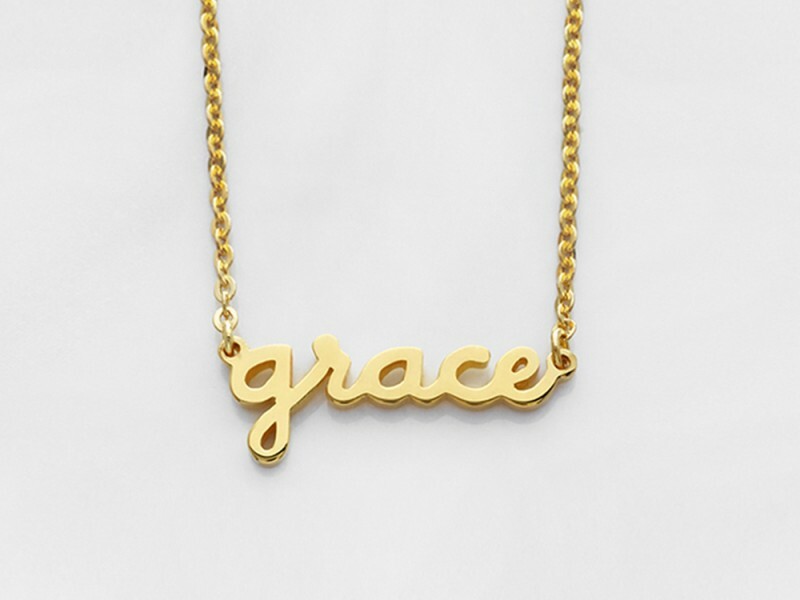 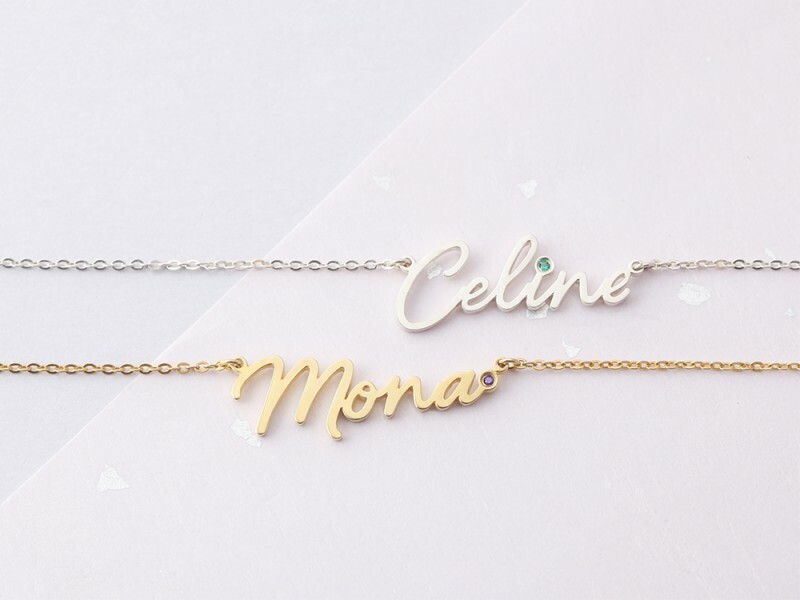 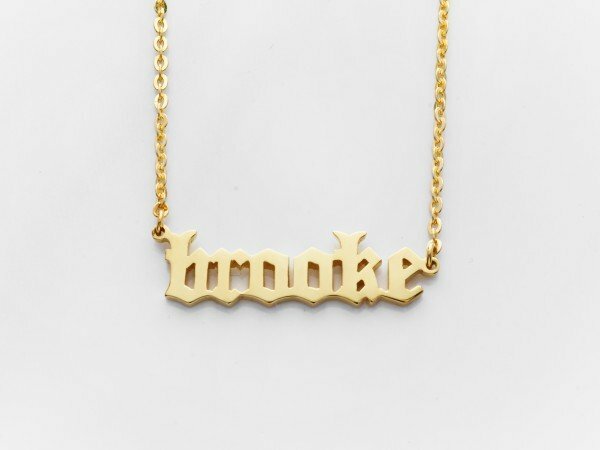 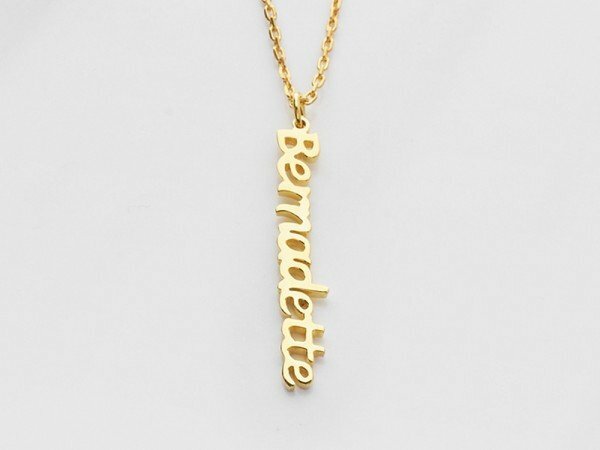 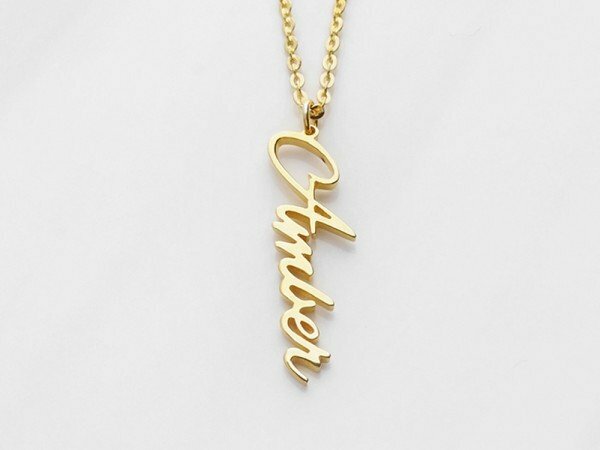 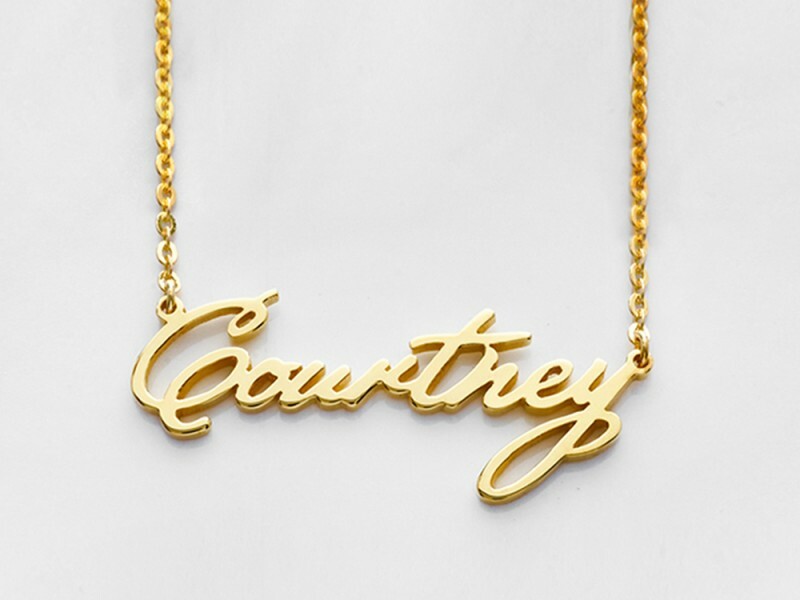 As seen on celebs like Kylie Jenner, cursive name necklace is the new take on the classic name necklace. 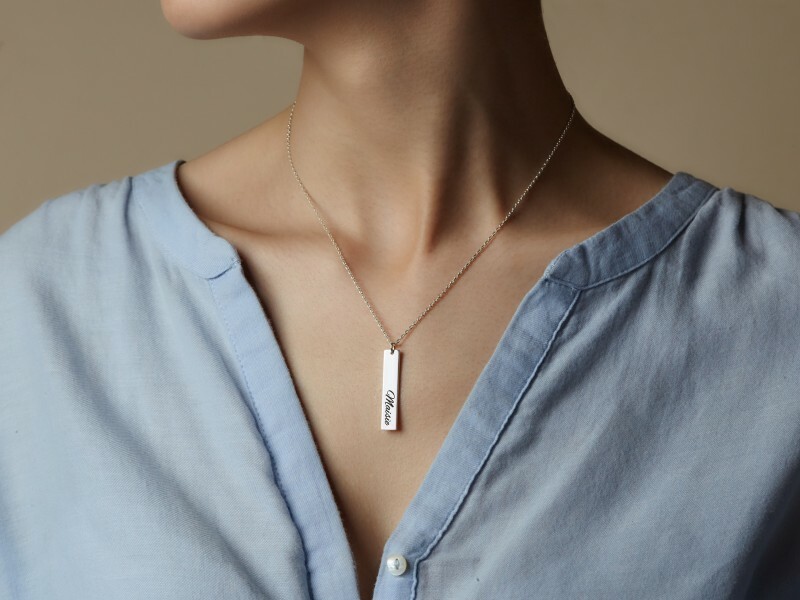 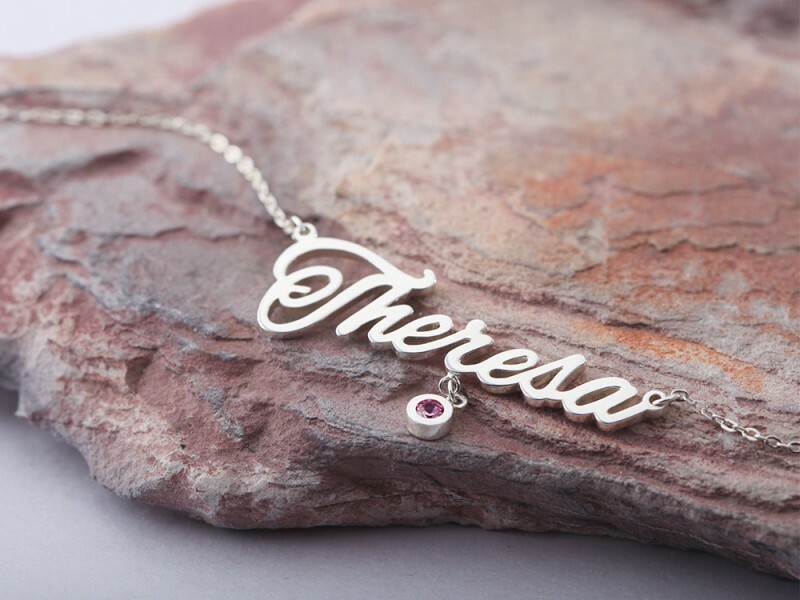 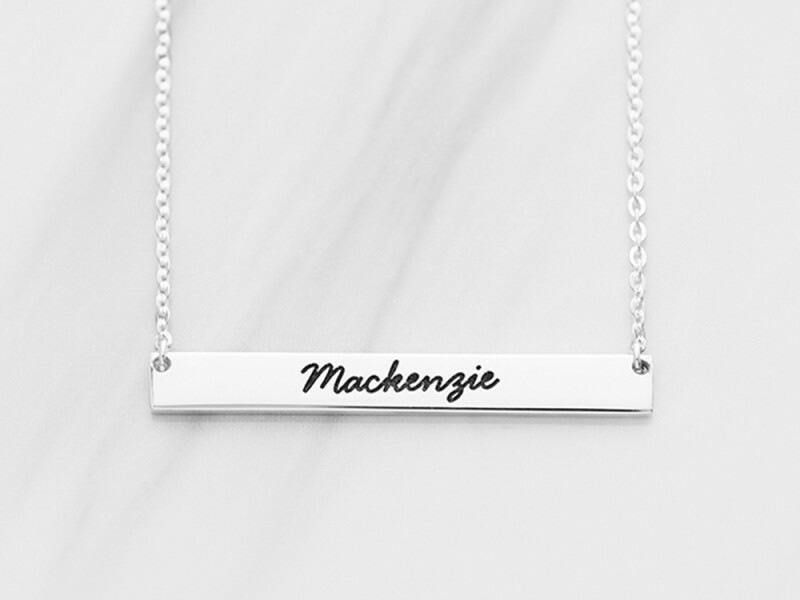 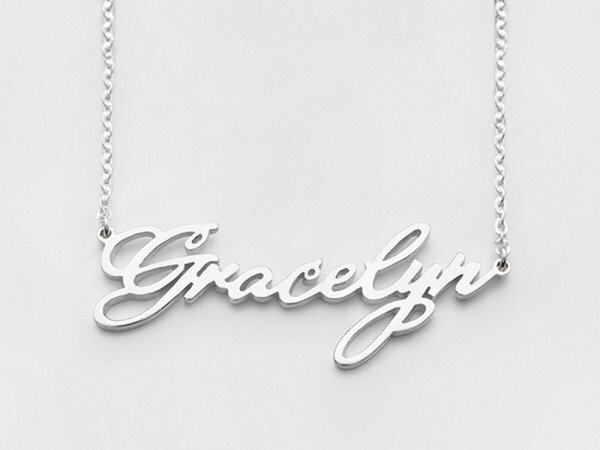 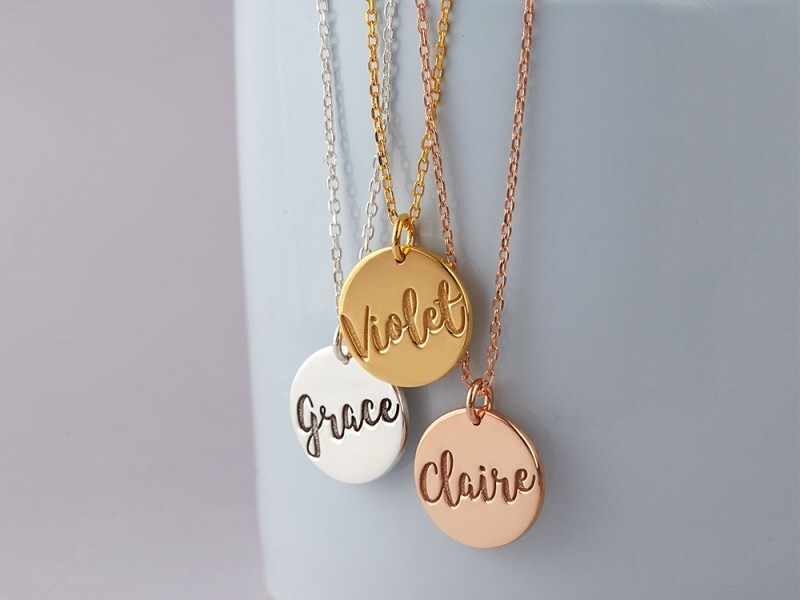 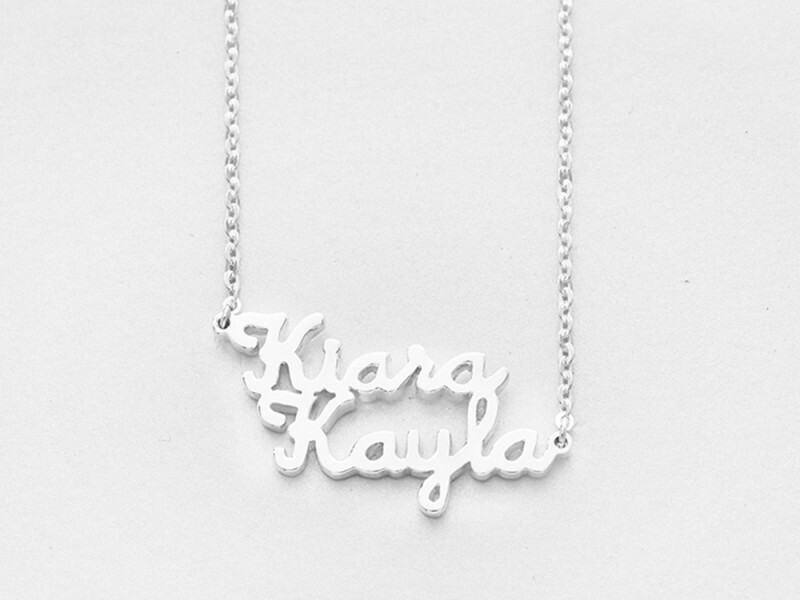 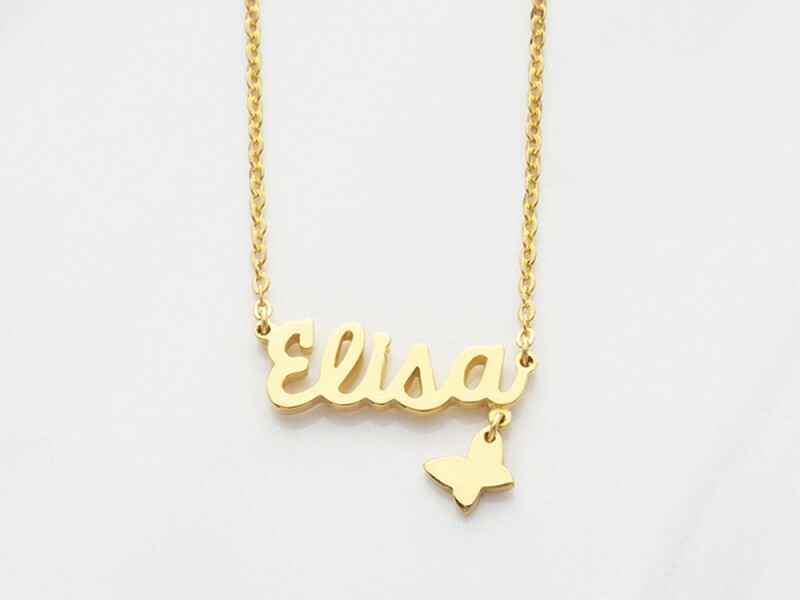 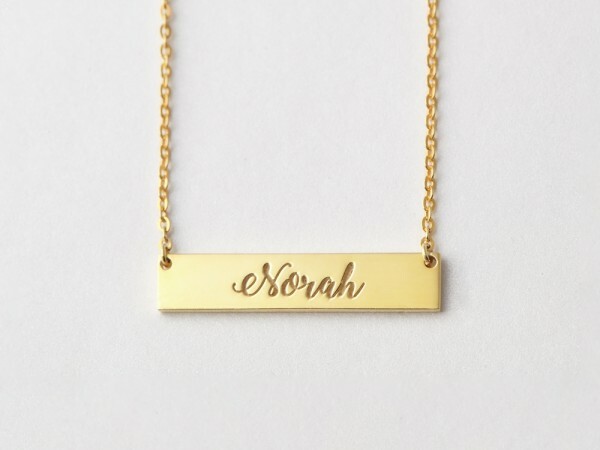 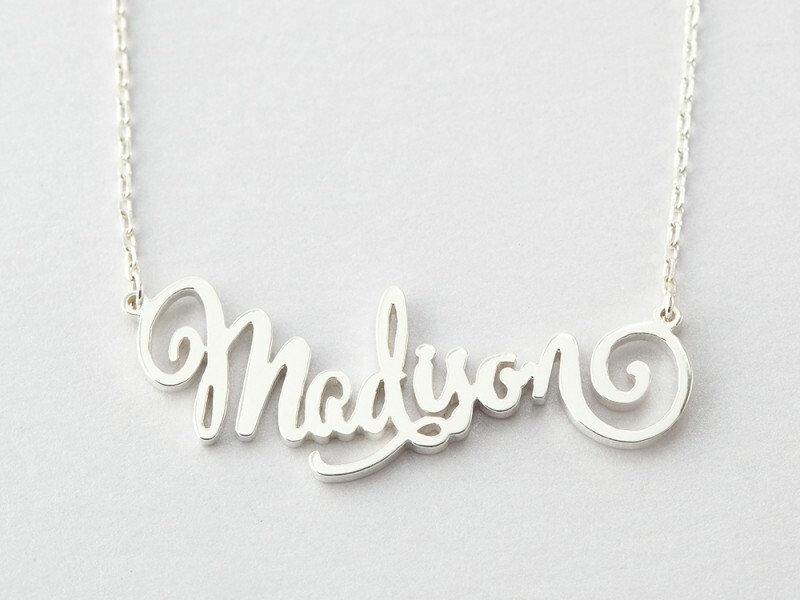 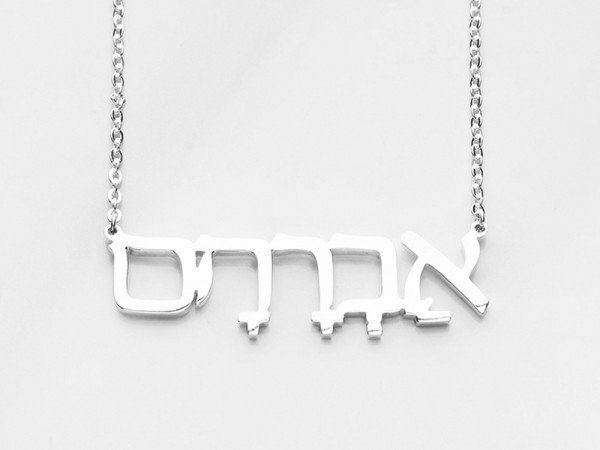 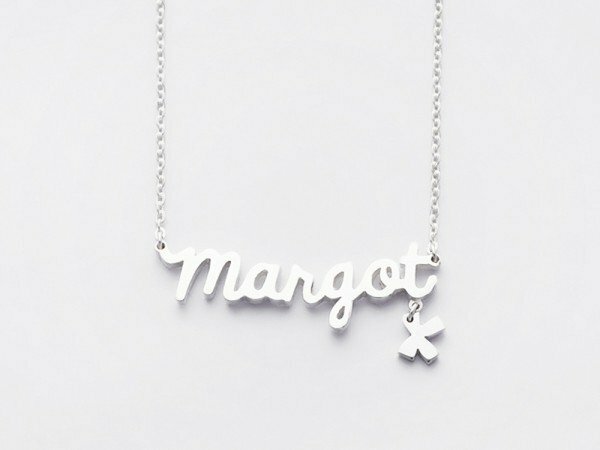 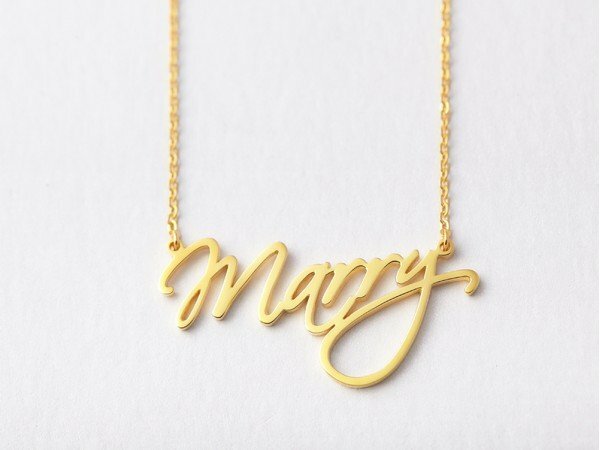 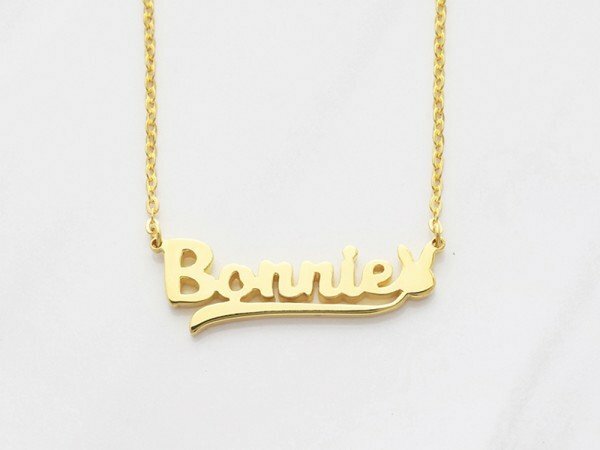 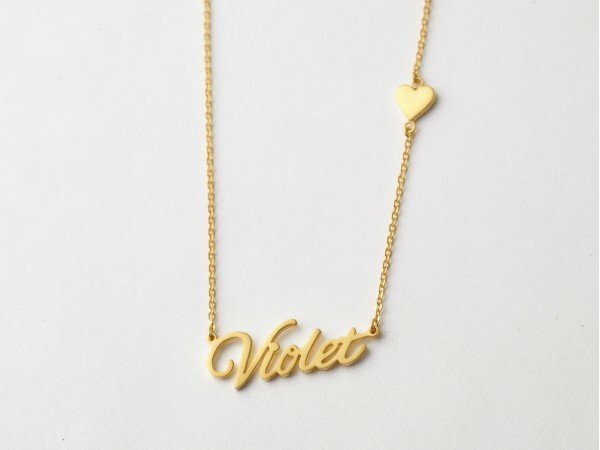 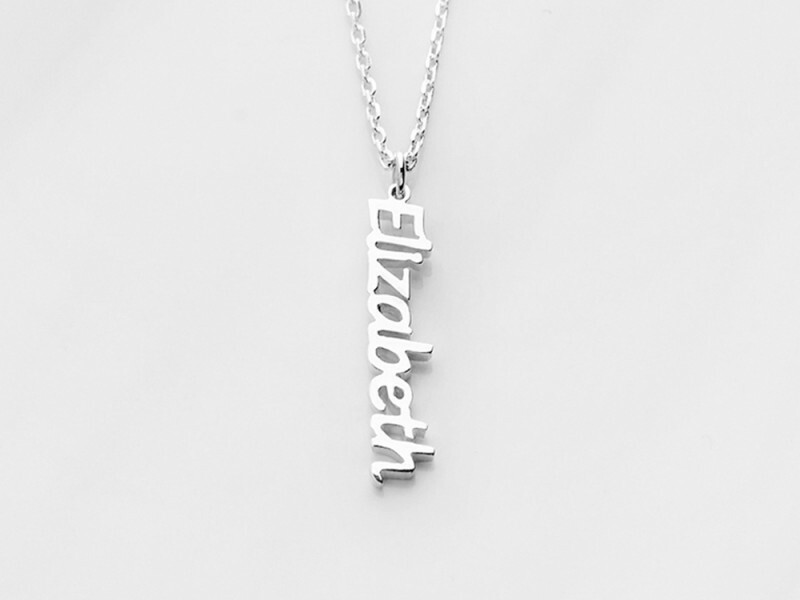 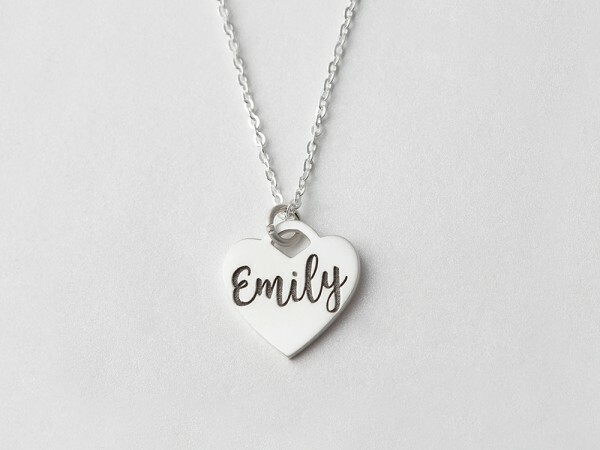 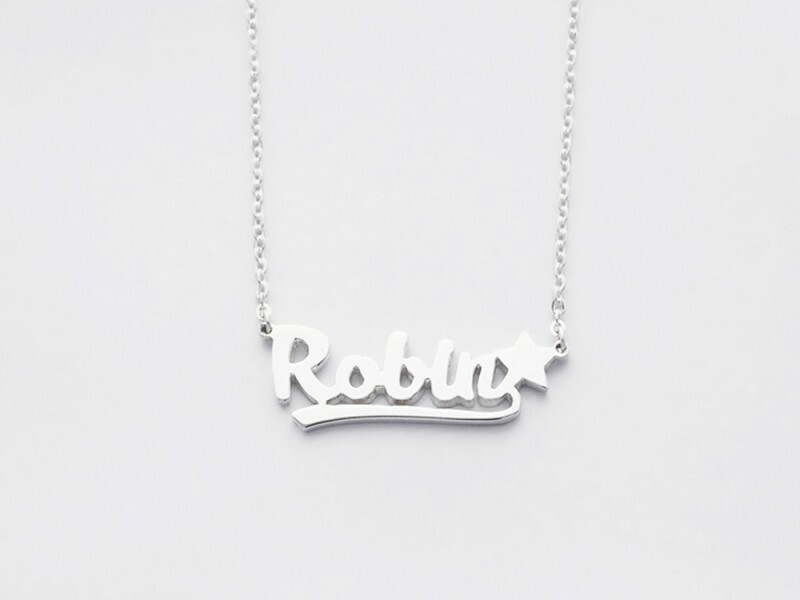 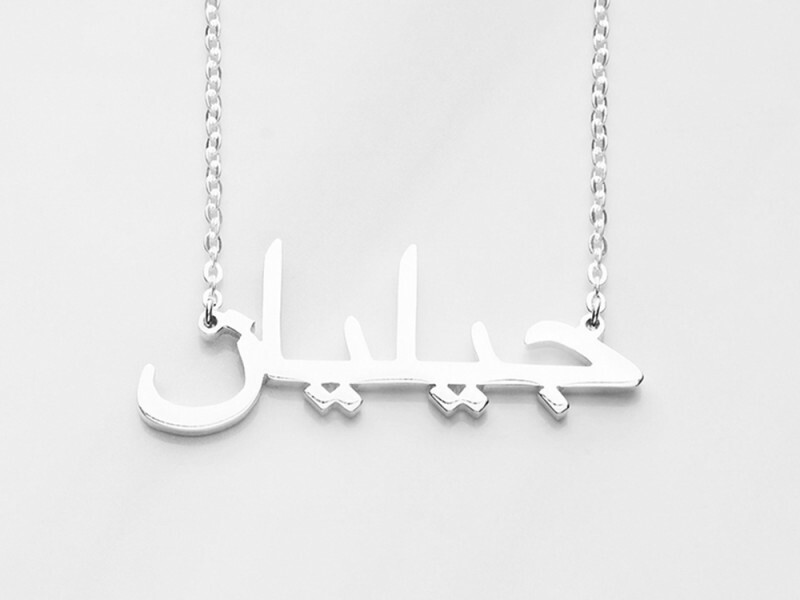 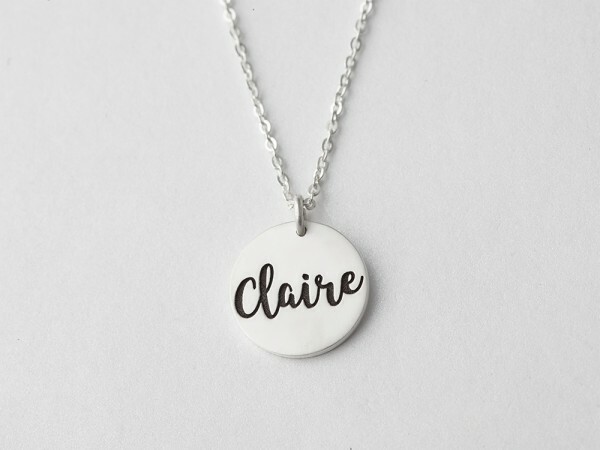 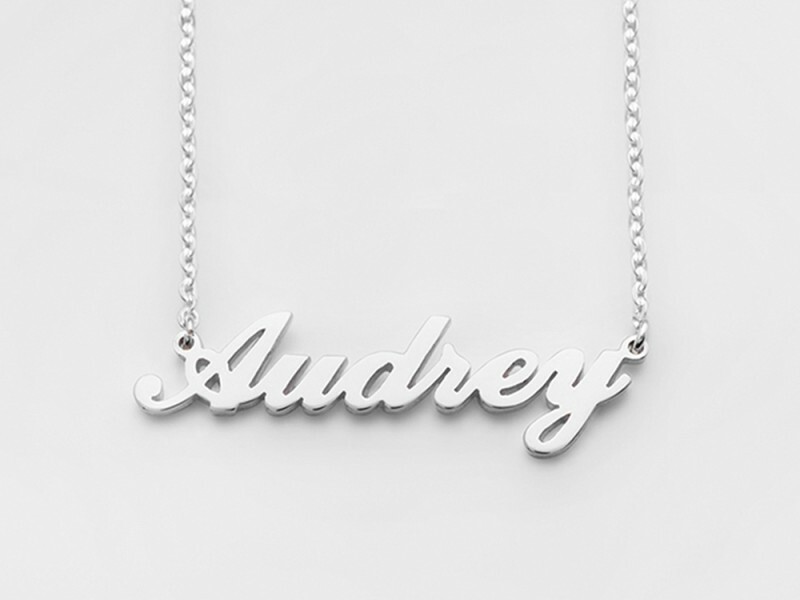 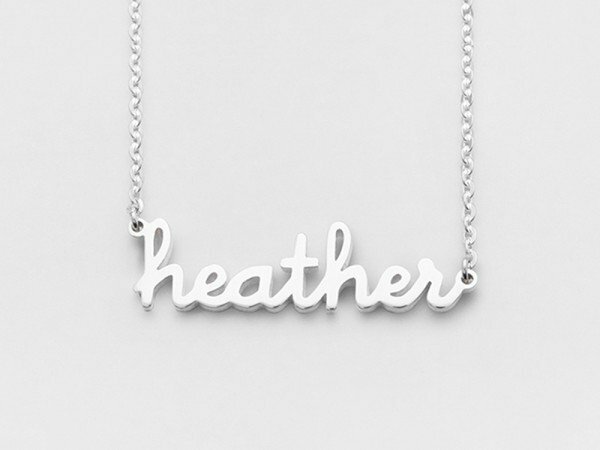 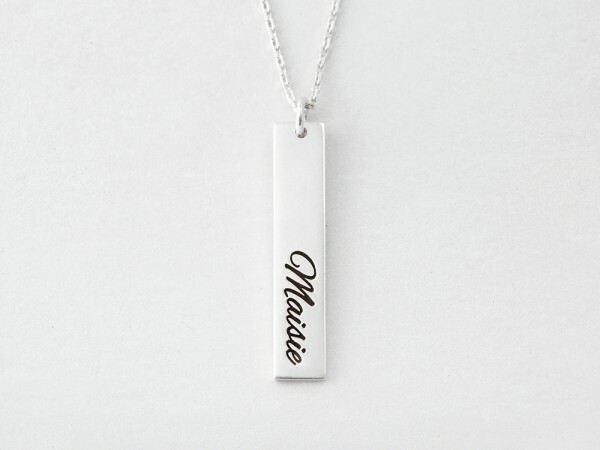 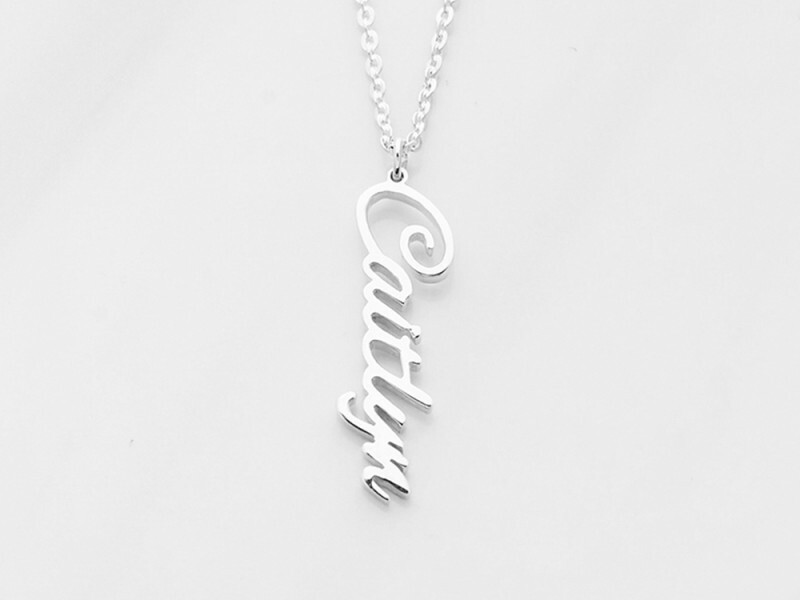 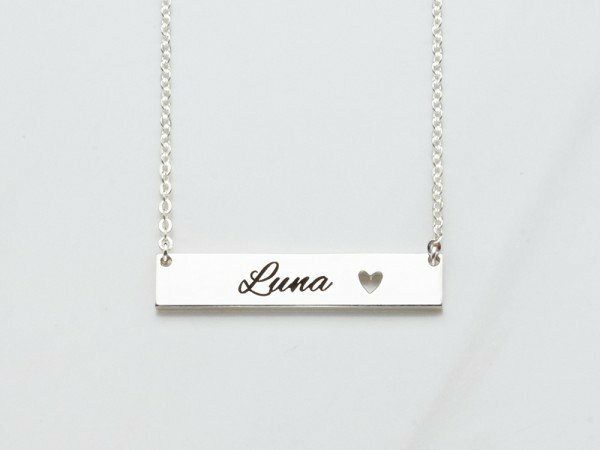 Our custom cursive name necklace is made with 100% sterling silver. 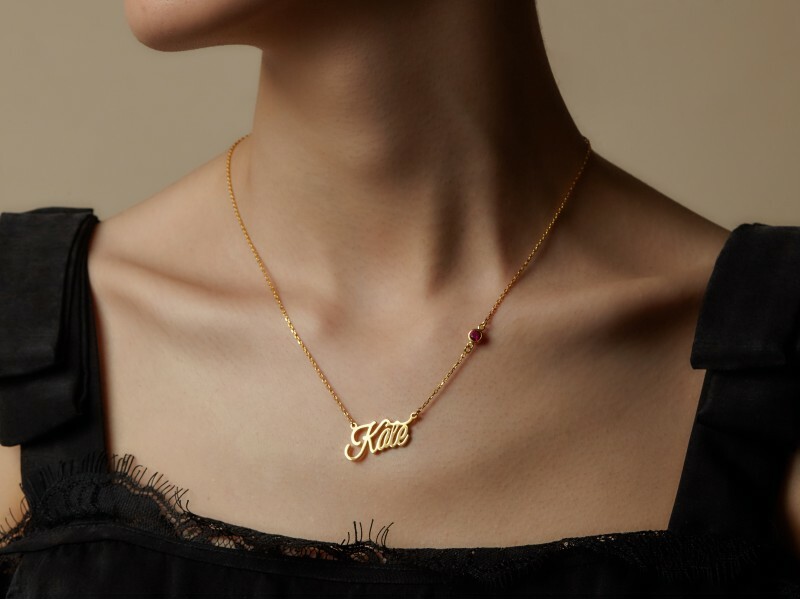 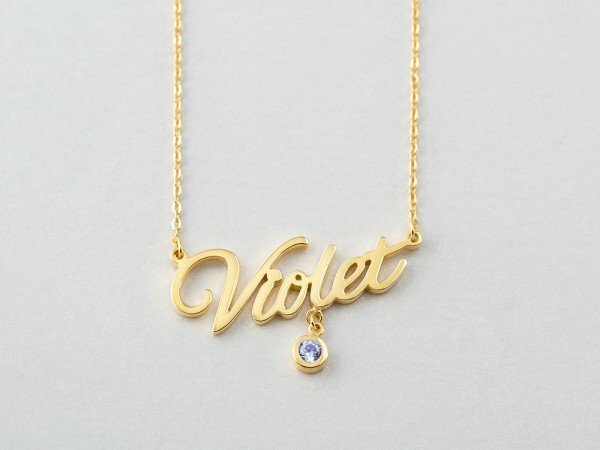 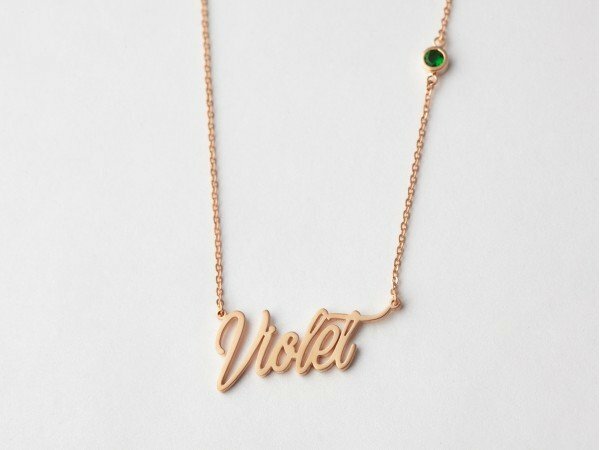 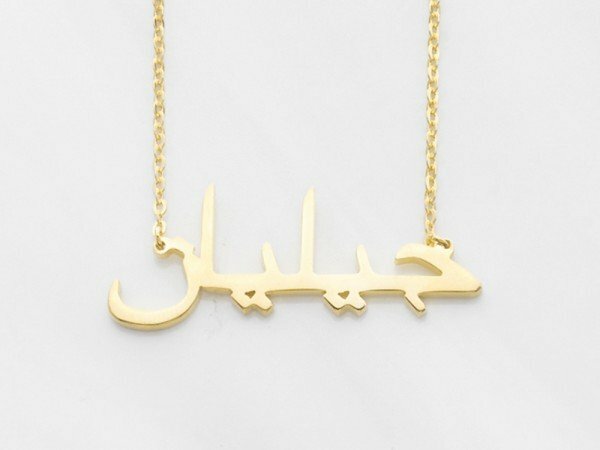 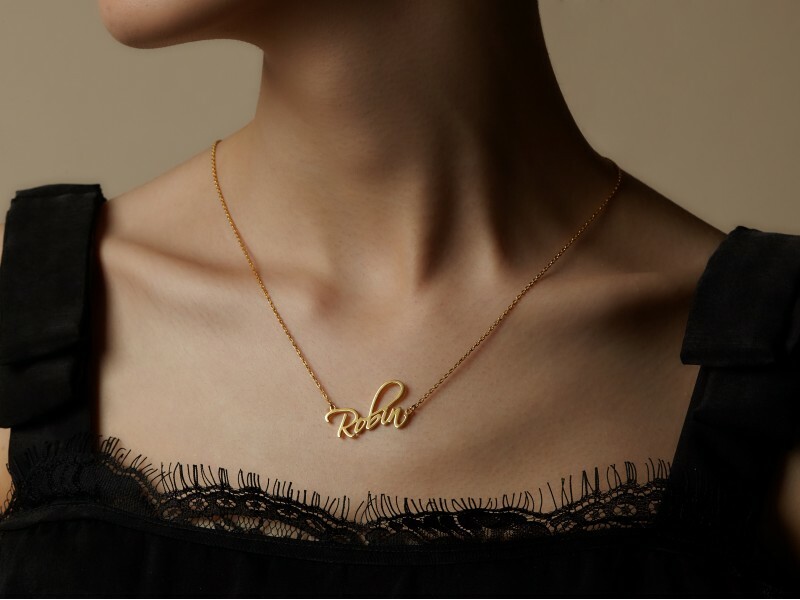 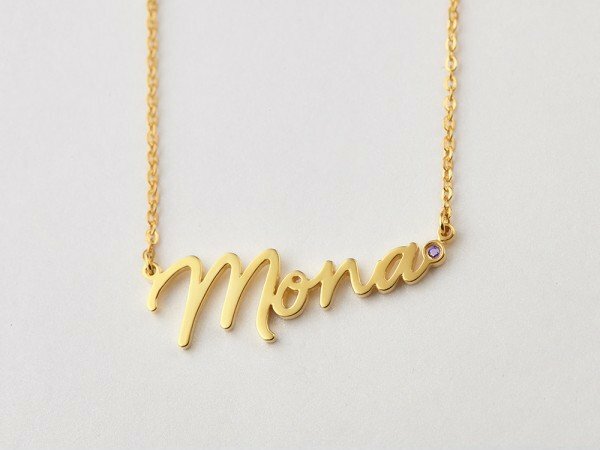 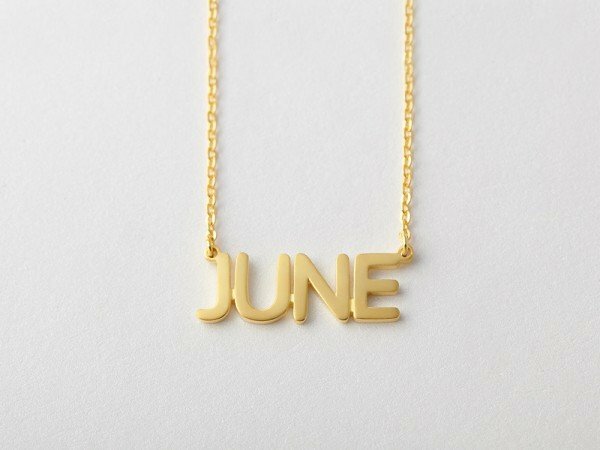 You can also choose to plate it with gold as a gold necklace with name in cursive is a must have item in any fashionista's wardrobe.